The average price for this game in the past 6 months is $35.21. The game first became 50% off on Nov 8, 2018 at Green Man Gaming. Lowest historic price was $25.61 on Apr 19, 2019 at Green Man Gaming. The average price for this game in the past 6 months is $24.65. The game first became 50% off on Nov 8, 2018 at Green Man Gaming. Lowest historic price was $17.93 on Apr 19, 2019 at Green Man Gaming. The average price for this game in the past 6 months is $20.95. The game first became 50% off on Oct 12, 2018 at Green Man Gaming. Lowest historic price was $15.36 on Apr 19, 2019 at Green Man Gaming. The Crew 2 is free to play this weekend on Uplay and if you like what you see, GMG has the full game for only $17.42. This is a new historic low price for the open-world driving/flying/boating game with tons of vehicles and great location. All editions including Season Pass are also on sale for up to 71% off. Last chance! The Crew 2 is now only $21. For those who enjoy the open-world driving game the first time around, $21 is not a bad price particularly as the 2nd installment comes with tons more vehicles and great locales. New low on Ubisoft's June released The Crew 2 PC Download. The racing game is now $29.67 in GMG's 24 hour flash deal. Lowest price yet by $6 and $30 off the usual $60. While we're not huge fans of the series, The Crew 2 does open-world driving titles well (this time in the form of sea and air as well). Most of the negative reviews hover around game mechanics and limited events. But that's why you're paying $36 vs the original $60 list price. New historic low for the PC Uplay copy of The Crew 2. The average price for this game in the past 6 months is $19.83. The game first became 50% off on Oct 21, 2018 at GameFly. Lowest historic price was $11.99 on Mar 14, 2019 at Microsoft. The average price for this game in the past 6 months is $20.79. The game first became 50% off on Oct 21, 2018 at GameFly. 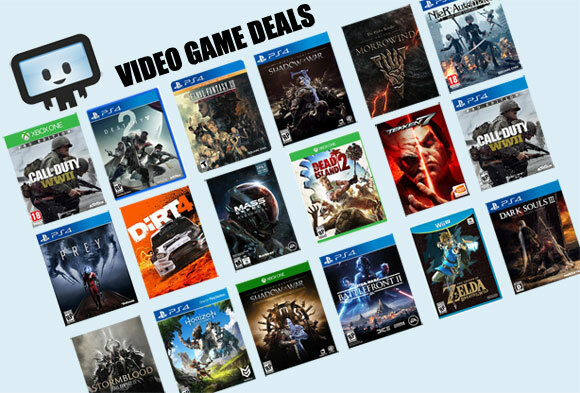 Lowest historic price was $14.99 on Dec 19, 2018 at GameFly. The average price for this game in the past 6 months is $13.99. The game first became 50% off on Mar 23, 2015 at Target. Lowest historic price was $9.90 on Nov 18, 2016 at Microsoft. The average price for this game in the past 6 months is $11.11. The game first became 50% off on Mar 21, 2018 at GamesPlanet. Lowest historic price was $10.62 on May 16, 2018 at Green Man Gaming.